How a designer bag is made, by Delvaux. 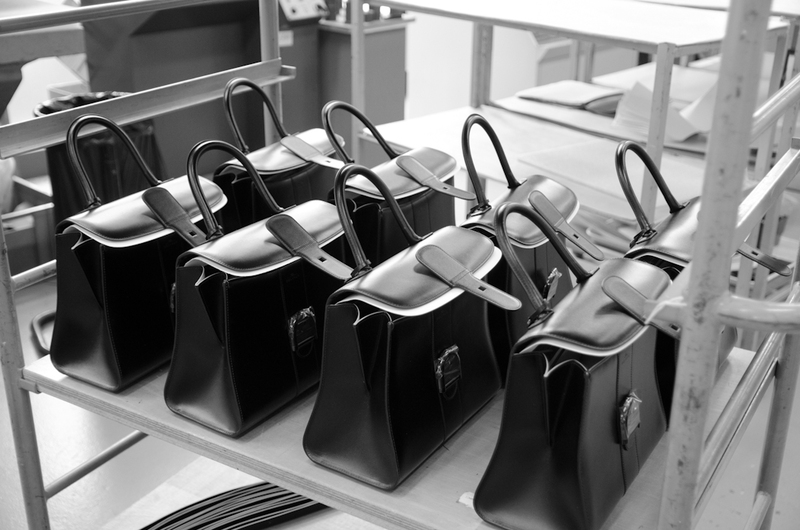 Here is part two on Delvaux- how a designer bag is made! If you haven’t read my introduction to the house of Delvaux yet, first head over to my previous post right here! Now in this post I’ll tell you why it’s a good idea to invest, yes it’s an investment, your money into a Delvaux, above all other designer bags. I have my fair share of designer bags carefully archived in my closet, but none are more precious to me than my vintage Delvaux and my most recent buy, the Delvaux Brillant X-Ray. When visiting the Delvaux atelier in Brussels, I discovered that all is created by hand, like the hands of the man you see in the pictures, working here for most of his life, dedicating it to the craftsmanship that is the house of Delvaux. Amazing insight into a designer bag factory. Meet Delvaux. Not to long ago, I had the honor to visit the ateliers of Delvaux in Brussels. It was all I ever expected and more. It made me proud to be Belgian on a whole new level. It made me long for a time all things fashion were created by skilled hands to endure the test of time.